Hope Commons will be added to the list of campus construction projects as a result of a $2.3 million renovation to expand and provide late night dining options for a growing student population. Governor Gina Raimondo has requested the University of Rhode Island direct its funds towards developing a larger dining hall in the 2018 fiscal year capital budget. The renovations are set to be completed by 2021. The 47,000-square-foot dining facility opened in 2007 and construction efforts totaled $23 million. Currently, Mainfare dining hall can hold 650 students and Rhody Market has seating for 110 individuals. “I initially approached the design team about this just after Butterfield reopened, about two and a half years ago,” Steven Mello, director of dining services, said. When Mello envisions a larger Mainfare, it consists of the private dining section expanding over the cement area outside of the Hope Commons rear entrance. He is hoping renovations will allow him to provide at least an additional 100 seats for students. 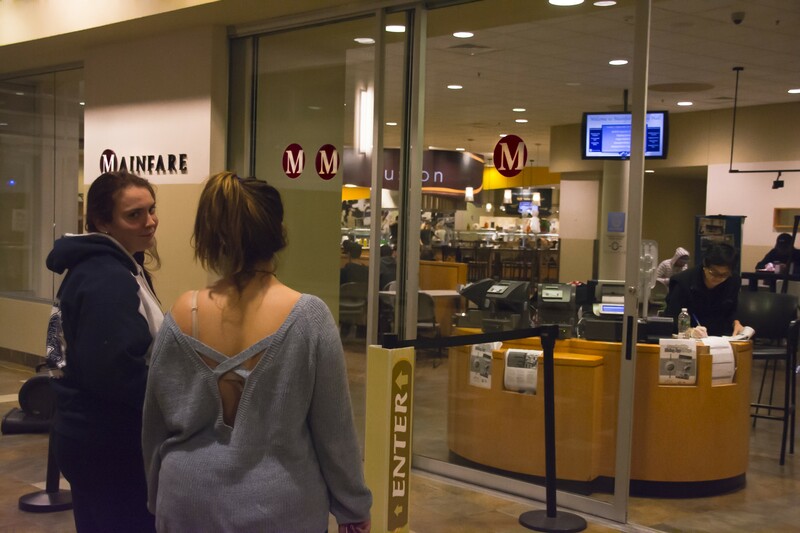 Freshman Hannah Griswold has only been on campus for two months and struggles to find a seat in the Mainfare on Saturdays and Sundays. “A lot of the time during brunch my friends and I will crowd six of us at a table that is only meant for two people,” Griswold said. Aware of overflow students in the dining hall on the weekends, expanding Mainfare is Mello’s main priority. Rather than waiting until 2021 to complete this project, he would like to have construction finished when new residence hall, Brookside, opens in September 2019. 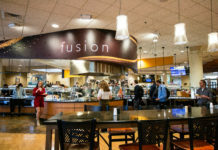 In addition to adding more seating options for students, Dining Services is looking to provide more late night dining opportunities for their students. “What if we had a food truck without wheels?” Mello said. Aiming to open another grab-n-go combo meal option, this off-hours opportunity would be located near the Corner Store in Hope Commons. A small station with a simple menu consisting of items like hot dogs and french fries. This late night option would stay open from midnight until 3 a.m.
“I always get really hungry late at night and can’t go anywhere that doesn’t involve spending money,” Griswold said. Sophomore Samantha Zweig agrees with Griswold. Dining services is always looking for ways to improve food opportunities for students. Mello expressed interest into reevaluating spaces in the Memorial Union, possibly bringing in a franchise name. He also said that there will be two new coffee shops on campus, in the new engineering complex and Brookside residence hall. Despite all of the renovations to come, the University will not be increasing the price of meal plans next year. According to Mello, a recent study evaluating nine regional college meal plans prices shows that URI ranks as the third most affordable. 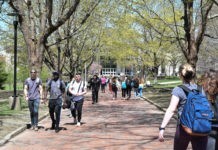 Previous articleAsking the question: Wwhat do freshmen not know?